Soak up the last weeks of warm weather and get ready for crisp fall nights by enjoying your outdoor space. There are plenty of Maryland companies ready and waiting to help you create the yard of your dreams. Liven up your living space by creating an outdoor kitchen your neighbors will envy. 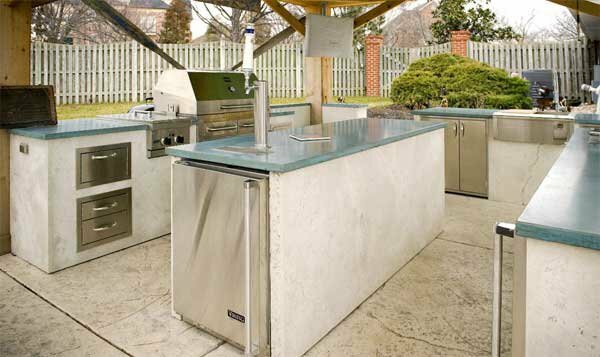 Hyde Products – a division of the Pasadena business Hyde Concrete – provides architectural concrete countertops, outdoor kitchens, and other precast elements to make your backyard cooking experience a memorable one. Owner Greg Hyde Hryniewicz tells us there’s more to outdoor living than standing around a Weber grill. Hyde helps homeowners bring their kitchens outdoors by adding grilling stations (including hibachi) and bar areas. The trend is so popular that Hyde recently opened a second location to help fulfill orders—a 19,000 square-foot fabrication facility in Linthicum. After you’ve finished the foundation for your outdoor kitchen, find the perfect grill or smoker to go with your new countertop. Mason-Dixon BBQ in Frederick not only provides the equipment needed for your backyard, but they also have a catalog of rubs and sauces to begin your barbeque. The company even offers BBQ Bootcamps throughout the year for those looking to learn more about meat. Located on the Eastern Shore, Backyard Billy’s calls itself a one stop shop for your outdoor space. This Grasonville-based retailer has been in business for nearly 30 years, specializing in patio furniture, garden décor, and backyard structures such as sheds and swing sets. They even sell a variety of Adirondack chairs made with 100 percent recycled materials. Deliveries to the beach are free! Looking for a simple solution to access your new shed or furniture? Pick up some pavers from Baltimore’s Second Chance and create a do-it-yourself walkway out back. 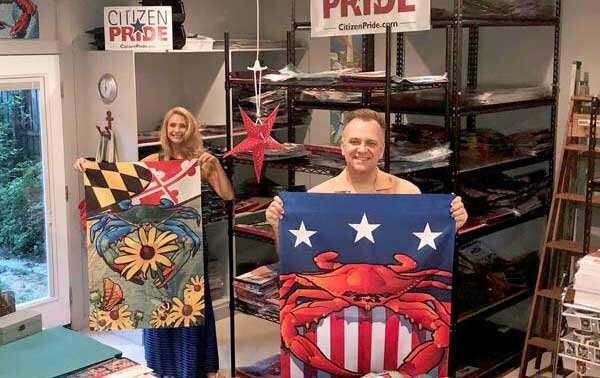 Few companies exude the Maryland feeling like the family-owned business Citizen Pride. 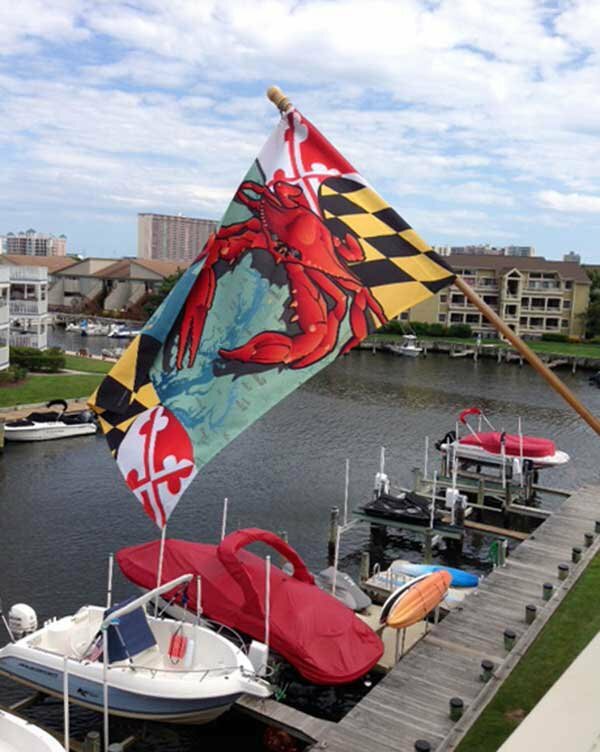 Between blue crabs, ravens, orioles, and the Maryland flag pattern, there are more than 75 original designs included on prideful memorabilia for your outdoor space. Add a Blue Angels themed pillow to your seating area or use a Maryland crab vinyl wrap to decorate your corn hole boards. There are plenty of options when you’re working with a company that loves their home as much as you do. Finish your space by cleaning up leaves, trimming the trees, power washing, or installing a new fire pit for the home. Based in Catonsville, Just Landscaping provides all these landscaping and maintenance services for parts of Baltimore, Howard, and Carroll Counties. A fire feature for the backyard is the perfect way to bring family and friends together and make the transition into fall.